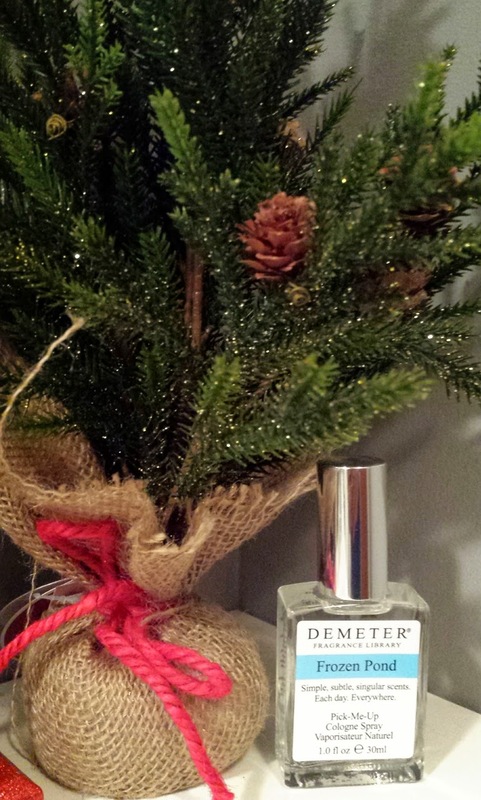 I recently had the opportunity of being sent the Demeter Holiday 2014 Collector's Edition ($45) to review. I had always seen these fragrances at Shoppers Drug Mart or Loblaws and found that their scents truly reflect the name on the bottle. 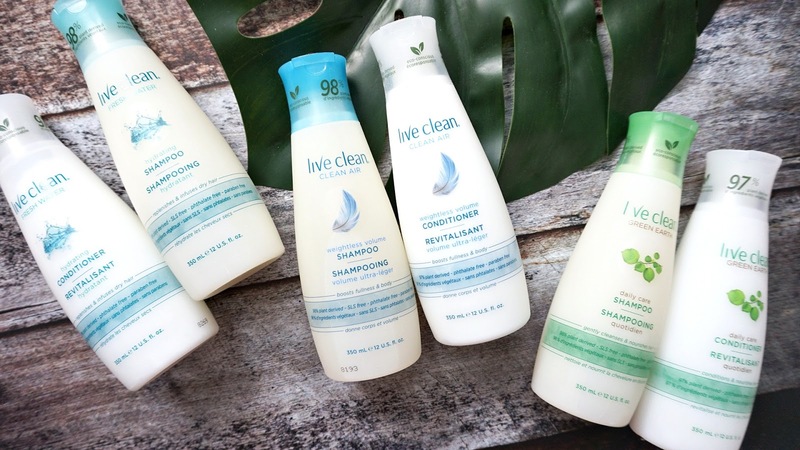 Upon doing some research, I found the reason why - their scents are derived from 95% natural essences. 1. 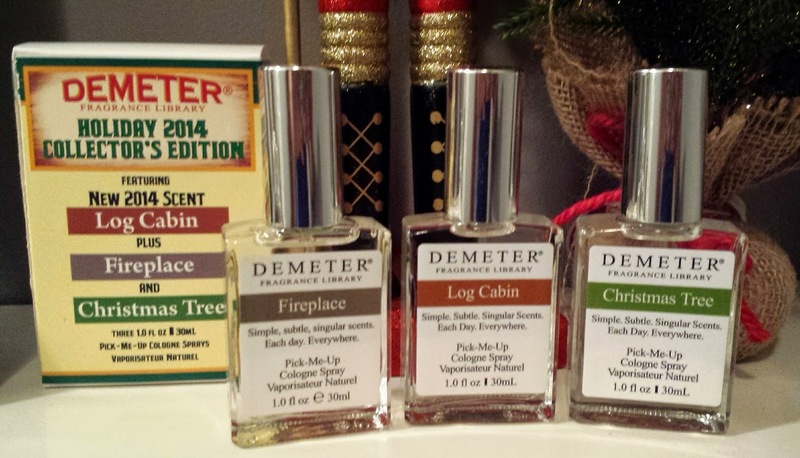 Log Cabin - the site says that there are hints of Texas Cedar, Virginia cedar & Oak Moss. When I sprayed this, it reminded me of my grade 6 trip to Algonquin Park where we stayed in a log cabin. It was a week long trip and my first experience in the great outdoors and scenic nature and beauty of what the best of Canada has to offer. 2. Fireplace - need I say more.. it smells exactly like it says. You know that smell after you've sat around a campfire or fireplace for a while, and your clothes have that slight woodsy soot kinda smell? This also reminds me of the Soak & Float solid shampoo bar from Lush...my husband actually sprayed this on and at first, I was kind of thrown off with how it instantly smelled like the fireplace, however.. after about 10-15 minutes, the fragrance settled and what was leftover was pretty nice. He kept this for himself.. lol. 3. Christmas Tree - living in a condo, I don't have the luxury of hauling in a big fresh christmas tree, so in lieu, I have a fake one in my living room. 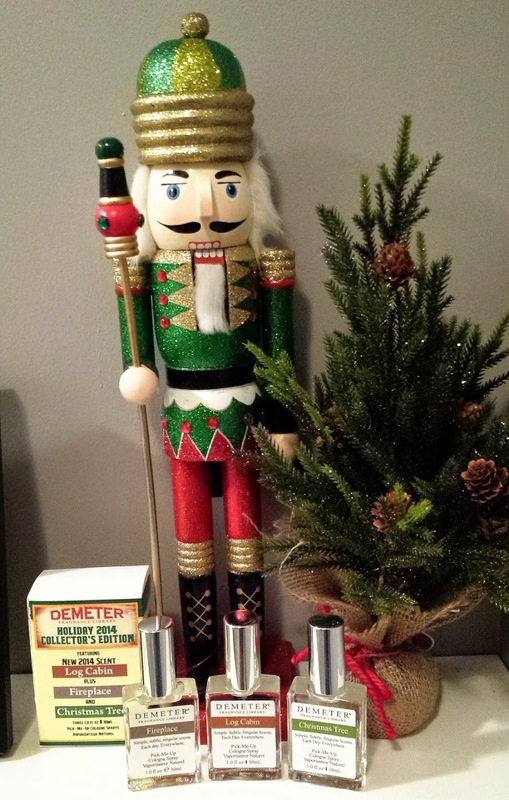 I spritz this fragrance on the tree and long and behold, it's like I have a fresh tree in my own condo. 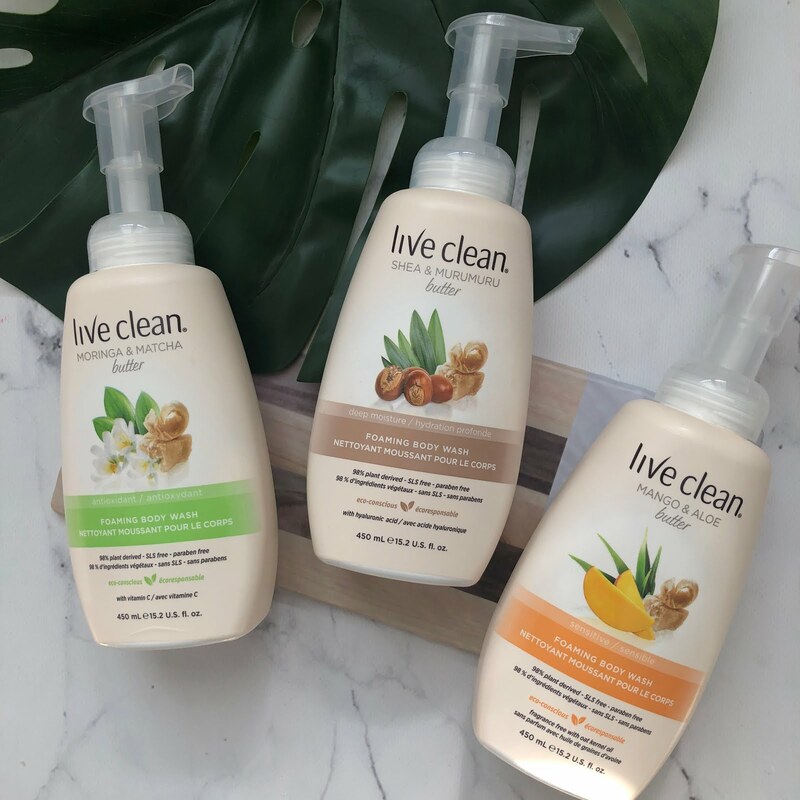 While I have to admit that most of these fragrances from this collection wouldn't be used as an actual body-perfume, they do have quite an impact as a room spray and that's exactly what I'll use it for.. I was also allowed the chance to pick one fragrance from their whole collection and I decided to go with Frozen Pond - it's slightly floral, but mostly crisp. When I sprayed this - it brought me back to the time when I learnt how to skate in an indoor skating rink. 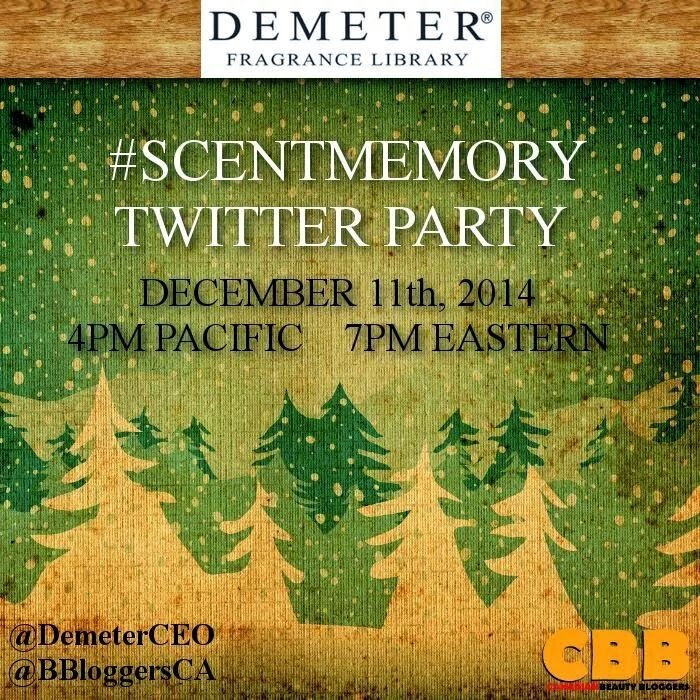 That crisp cool smell in the air when you set foot in the rink... don't know if I'm quite explaining myself properly.. haha..
Demeter and Canadian Beauty Bloggers is hosting a holiday Christmas Party on December 11th at 4pm pacific/7pm eastern - use the #scentmemory to join in on the fun! There may be some chances to win some prizes I think!! I totally agree about frozen pond, I'm glad you liked it (I hope!) I love using christmas tree in my little apartment too. Holiday Gift Idea No. 3 - STAK CO.